These medical trips serve a total of nine ejidos twice per year with a total of six trips a year. You do not have to be a doctor or a nurse to attend! It takes a lot of work to run a clinic and support the doctors, nurses and pharmacy. There is a role for you and your talents! Each individual trip will visit three ejidos where we will operate a clinic. 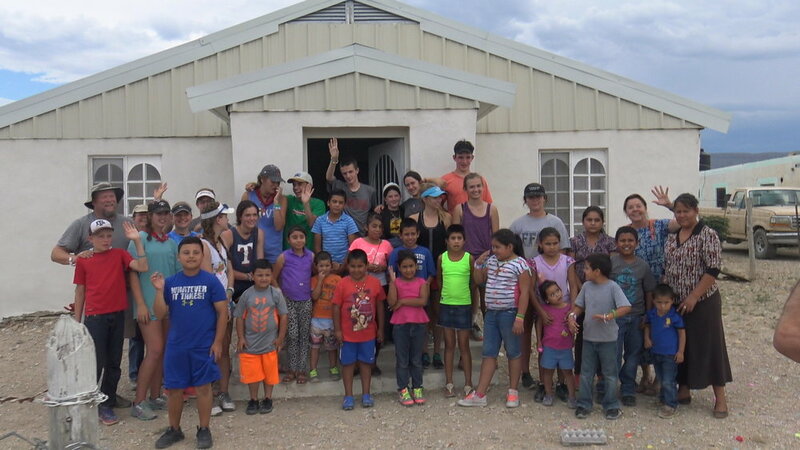 We spend the first day traveling to our first ejido, spend the night and then operate the clinics and lead the worship service in the evening. The next morning we pack and move to the next ejido with the same schedule and then again the following morning we again move to the last location. Then a full day of travel back home after the last village. We have three separate trips in the spring and then three in the fall. All our routes in Mexico REQUIRE A PASSPORT. The Well Child Clinics are quick trips to a school near the border. We usually leave early in the morning and drive to Eagle Pass, TX where we cross. We then visit a small school not too far from the border. We run a simple medical check, vision, hearing (similar to the checks in USA) and provide vitamins and school supplies. Great trip if you have limited time! These trips will vary depending on need and group desires. Most often these are booked by entire groups during summers but also can be open to individuals. Currently we have church groups that return each summer to the same ejido. The groups will spend the morning on a construction type project, often working on the clinics, churches or other community based projects. The afternoons we try and run a children's Bible School. Contact us for more details or to see if your group wants to schedule a trip! The mission at times has done Christmas trips to some of our villages to provide gifts, support and have a little fun. We also have a local missions week in Fredericksburg where we serve right here! A local school is part of this program and we have service projects here in town and then host a VBS. The students camp at a ranch and really have some great time growing in relationship with the Lord and each other. Have an idea?… Contact us!